Home › • RIXE - Les Nerfs A Vif 7"
• RIXE - Les Nerfs A Vif 7"
Just over a year since the release of the much loved debut 7" &apos;Coups Et Blessures&apos;, RIXE return with another four tracker on La Vida Es Un Mus. 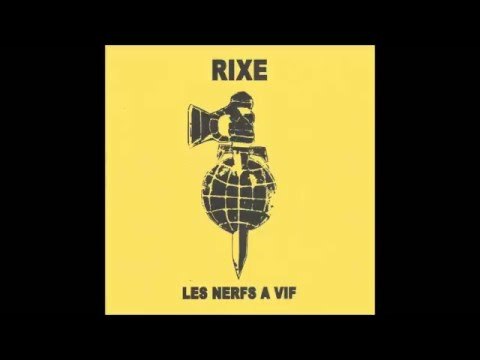 RIXE have gone from total obscurity to headlining festivals and gigs in Canada, North America and England and these four new tracks are a clear reason why. Standout &apos;Hexagone&apos; opens the EP sounding like &apos;New Age&apos; era BLITZ with extra bite and bile, &apos;A Contre-Courant&apos; follows with a stomping primitive bass and drum attack before the razor sharp guitar work and growling vocals come in. On the flip the venom and intensity continues with &apos;Rapport de force&apos; before the self titled track &apos;Rixe&apos; ends this latest Oi! attack with a track that starts like a late 70&apos;s UK SUBS hit before heading into classic 80&apos;s French Oi!. 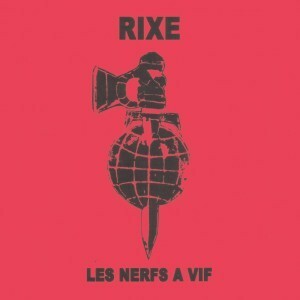 RIXE are special and these four tracks show more reasons why.